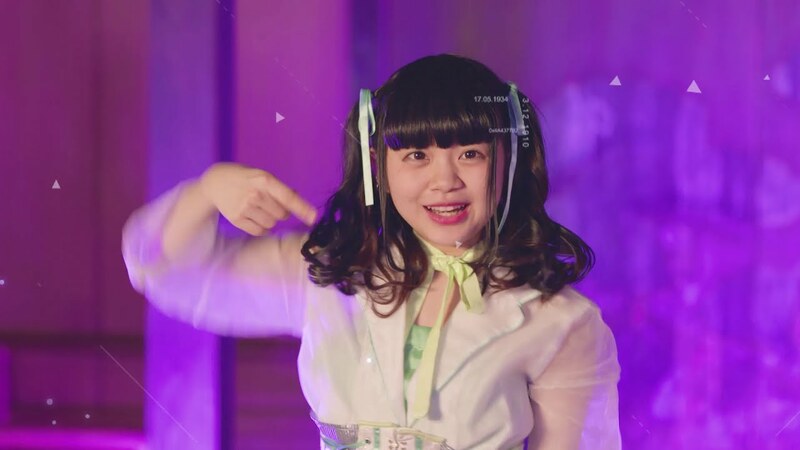 New from Codomomental and it’s galaxy of alt idols is the fledgling idol group Seireki13ya (星歴13夜) and its debut promotional video “Oyasumi Mirai to Koiotome (おやすみ未来と恋乙女). Despite its affiliation with (probably) the most badass assemblage of non-conformist idol acts, Seireki13ya doesn’t toe the line very much. The group of young idols lace up the corsets for pastel performance outfits that would probably sit well on the bodies of most idol acts. Mind you, that’s not a knock against the group. We’ve had indications all along that Seireki13ya would stay closer to the idol mold than their labelmates. So, the music twinkles with keyboards and chugs along with electric guitars, but the sense of danger stays around the corner from the girls. I’m not sure if things will stay this way, but for now Seireki13ya can lay its head next to other idol groups with an electric sound and an edge that pinches the flesh but never really cuts. Seireki13ya’s “Oyasumi mirai to koiotome” is available in stores now. SEIREKI13YA (星歴13夜) is a Japanese idol group formed in 2018 by Codomomental.inc. The group name roughly translates to Astral Calendar of 13 nights. SEIREKI13YA’s lineup currently includes Sono Homare (園ほまれ), Shika Towa (色とわ), Nene Komachi (寝こもち), Fuwa Akane (浮あかね), and Ama Mauru (天まうる).